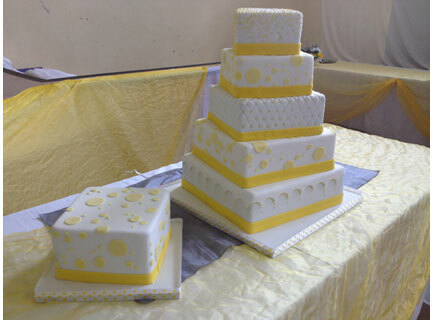 Polka dot wedding cake in subtle shades of yellow. Enough to feed a crowd! Five tiers with an extra tier separate of vanilla sponge with caramel filling. Perfect to serve as dessert for a big wedding.